Lakshmi Devi Temple is located in Doddagaddavalli of Hassan District of Karnataka. 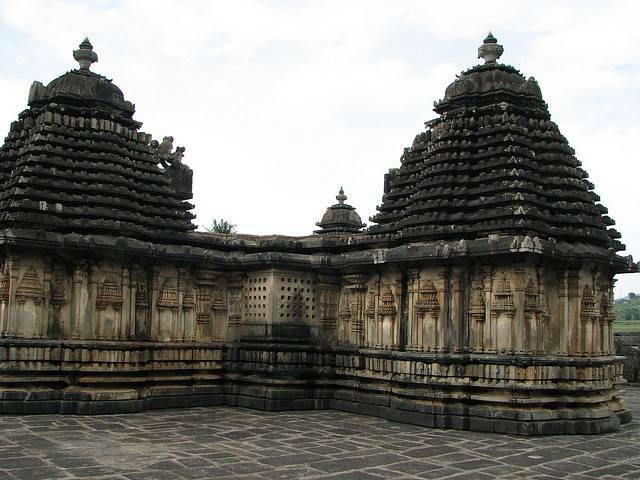 Vishnuvaradhana, a King of Hoysalas Dynasty constructed this renowned temple in 11th century. Soapstone was used in the constructions. Lakshmi Devi Temple of Doddagaddavalli is the oldest and the first temple which was constructed in Hoysalas architectural style. Also spectacular feature of this temple is that, all four shrines and its tower were constructed within a stone enclosure which has only one entrance gate. Located amidst of coconut grove, the temple has a lake at its backside. The pillars and ceilings of Mandapam were highly decorated with sculptures. Beside Lakshmi Devi, one can shrines for Goddess Durga, Lord Vishnu and Lord Boothanatha Linga.